Prosser, David. "Richard Jean Monette". The Canadian Encyclopedia, 04 March 2015, Historica Canada. https://www.thecanadianencyclopedia.ca/en/article/richard-jean-monette. Accessed 20 April 2019. After 3 consecutive seasons at Stratford, Richard Monette went to New York with Theatre Toronto's production of Rolf Hochhuth's Soldiers. Richard Monette's flamboyant showmanship, his sound commercial instincts and his evident love of comic gags endeared him to theatre audiences (photo courtesy of Stratford Festival). Richard Jean Monette, actor, director (b at Montréal, Québec 19 June 1944; d at London, Ont 10 September, 2008). 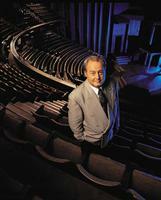 Richard Monette was artistic director of the STRATFORD FESTIVAL from 1994 to 2007. Monette was a charismatic - sometimes flamboyant - actor. Son of a French-Canadian father and an Italian-Canadian mother, Richard Monette attended Loyola High School and Loyola College (now Concordia University) in Montréal, where he performed in several student productions. In 1963, under the tutelage of actress and teacher Eleanor Stuart, he won a best actor award at the Inter-Varsity Drama Festival, whereupon adjudicator David GARDNER secured him a television role. At the age of 19, he made his professional stage debut as Hamlet at Toronto's CREST THEATRE. His acceptance into the Stratford Festival company in 1965 marked the beginning of a lifelong relationship with the institution that would become his second home. After 3 consecutive seasons at Stratford, Richard Monette went to New York with Theatre Toronto's production of Rolf Hochhuth's Soldiers. In 1969 he moved to England, where he appeared in the original London cast of Oh! Calcutta! In 1974 Monette fought for, and won, the title role in the 1974 English-language premiere of Michel TREMBLAY's play Hosanna at the TARRAGON THEATRE. The play, and Monette's portrayal of the transvestite central character, created a sensation, and the production transferred to Broadway. Monette reprised the role at Toronto Workshop Productions in 1977 and directed a revival at the Tarragon 10 years later. Over the next dozen years at Stratford, Richard Monette built a solid reputation as a classical actor, performing in roles such as Hamlet, Romeo, Henry V and Benedick, as well as starring in the one-man play Judgement. In 1980, following the resignation of Robin PHILLIPS as Stratford's artistic director, Monette won media notoriety and the admiration of many colleagues for a passionate outburst addressed to the board of governors in which he accused some members of resorting to unprincipled behaviour in their efforts to find a suitable replacement. Although Richard Monette also acted in films such as Iceman (1984) and I've Heard the Mermaids Singing (1987), severe and chronic stage fright turned him to directing. His first major production was The Taming of the Shrew for Stratford in 1988. Set in the 1950s, it was an enormous critical and popular success, and Monette followed it two seasons later with a colourfully innovative As You Like It set in New France. His subsequent work for the festival included a Romeo and Juliet set in Fascist Italy, a Twelfth Night set in the Napoleonic West Indies, a minimalist Hamlet, a 19th-century King Lear, the musical Camelot, a 4-act version of The Importance of Being Earnest that Monette compiled from Oscar Wilde's long-lost original manuscripts and productions of Much Ado About Nothing and The Miser that transferred to New York. Monette also directed for Young People's Theatre, Tarragon Theatre, Theatre Plus (where his production of Saint Joan won him a 1991 Dora Mavor Moore Award for Outstanding Direction) and the CANADIAN OPERA COMPANY. In 1997, after a hiatus of nearly 10 years, he returned to the stage as an actor, playing Domenico Soriano in a Stratford production of Eduardo De Filippo's Filumena. In 2002, the festival's 50th season, he planned to appear as Henry Higgins in My Fair Lady; however, vocal problems forced him to withdraw from the role after the first preview. 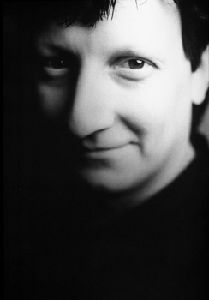 Richard Monette's flamboyant showmanship, his sound commercial instincts and his evident love of comic &QUOT;gags&QUOT; endeared him more to audiences than to critics, some of whom have accused him of relying too heavily on popular repertoire during his 14-year tenure as the festival's artistic director. Meanwhile, that tenure saw the entire canon of Shakespeare's plays produced on the festival's stages, along with works by the playwright's lesser-known contemporaries. Monette's tenure was also distinguished by record levels of revenue and attendance, producing an unbroken series of year-end surpluses, major renovations of the Festival and Avon theatres, the opening of the 260-seat Studio Theatre, the completion of a $50-million endowment campaign, the founding of an in-house conservatory for classical theatre training and the establishment of a formal program of new play development. The recipient of a Queen's Silver Jubilee Medal and honorary degrees from the University of Windsor, Concordia University and the University of Western Ontario, Richard Monette was named a member of the ORDER OF CANADA in 1997. In 2006 the Canadian Theatre Critics Association presented him with the Herbert WHITTAKER/Toronto Drama Bench Award for Outstanding Contribution to Canadian Theatre, and in 2007 the festival published This Rough Magic, a volume of his memoirs.